6 bedroom, 2 bathroom home located on a private 5.115 acre parcel. The property is fenced and has had horses on it in the past. There's also a large fenced area for dogs. The house has a practical layout and is in excellent condition. It has a spacious open concept with the kitchen, dining room and living room all under one large vaulted ceiling. Downstairs has a large entrance and nice rec room. 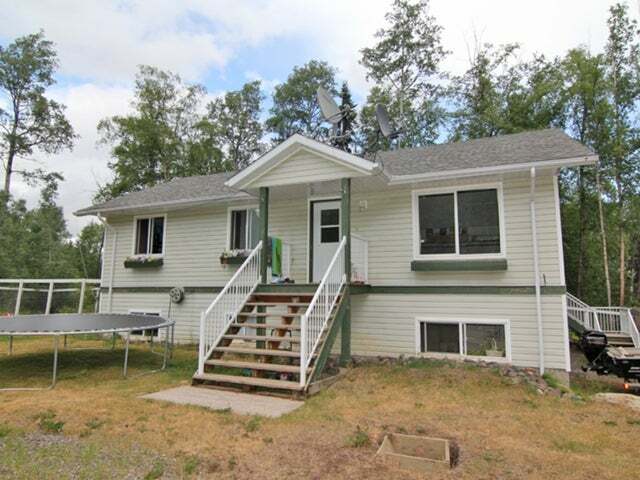 The property is only minutes from Smithers and is just off the main road to the ski hill. The school bus comes to the property, making this the perfect family home for those looking for a large yard for the kids at a reasonable price.